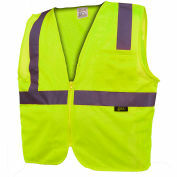 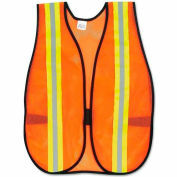 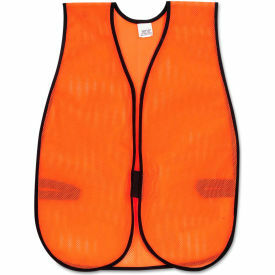 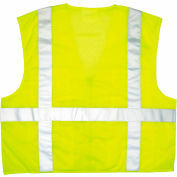 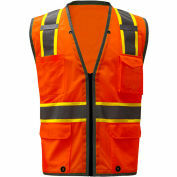 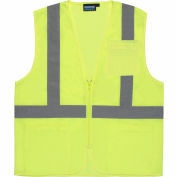 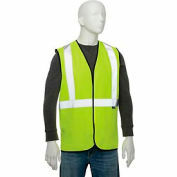 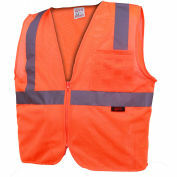 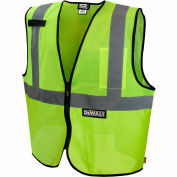 Basic, economical bright orange safety vest for warehouse, parking lot, or other roadside workers with a call for caution. 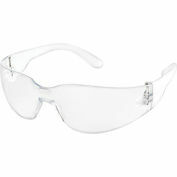 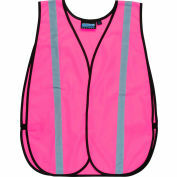 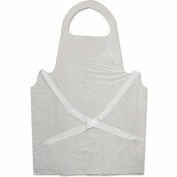 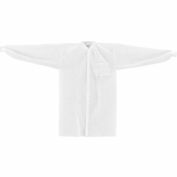 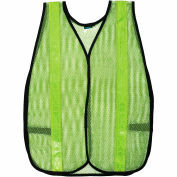 The mesh design allows for air movement, making these vests comfortable in warm weather. 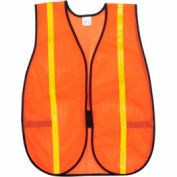 The hook and loop closure firmly secures the vest around the worker.